"I, Dekanawideh, and the confederate lords now uproot the tallest pine tree and into the cavity thereby made we cast all weapons of war. Into the depths of the earth, down into the deep underearth currents of water flowing into unknown regions, we cast all weapons of strife. We bury them from sight forever and plant again the tree. Thus shall all Great Peace be established and hostilities shall no longer be known between the Five Nations but only peace to a united people." (Dekanawideh The Great Peacemaker). 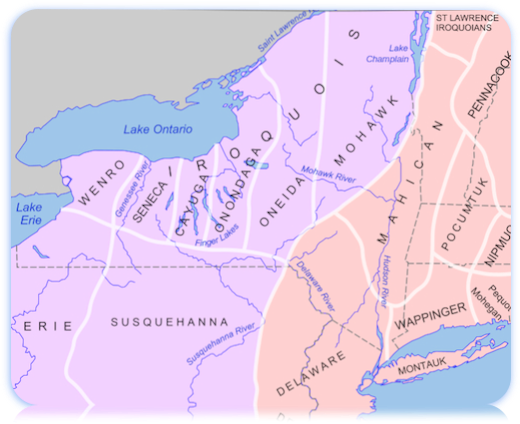 On August 22, 1142 (date on which there was a Total Solar Eclipse, "Total Solar Eclipse on August 22, 1142", which lasted 3 minutes and 36 seconds), the Iroquois Confederacy or "Haudenosaunee" ("People of the Longhouse") was born, being composed of the Five Nations: Oneida, Mohawk, Cayuga, Onondaga and Seneca, created by Dekanawida with Aiionwatha's assistance as his Spokesman and with the mediation of Jikohnsaseh, called "Great Peace Woman" and "Mother of Nations". On August 22, 1993 the Prophet Moses was reincarnated. His complete Name is Thoth-Moisés which means "Son of Thoth" (in Egyptian, "Thoth-Mes"). "White Pine" ("Pinus strobus"), the Sacred Tree of the Great Peace. "I, Dekanawideh, and the confederate lords now uproot the tallest pine tree and into the cavity thereby made we cast all weapons of war. Into the depths of the earth, down into the deep underearth currents of water flowing into unknown regions, we cast all weapons of strife. We bury them from sight forever and plant again the tree. Thus shall all Great Peace be established and hostilities shall no longer be known between the Five Nations but only peace to a united people." ("THE CONSTITUTION OF THE FIVE NATIONS BY ARTHUR C. PARKER ALBANY." "THE UNIVERSITY OF THE STATE OF NEW YORK 1916"). The Iroquois have a Code of Laws called "The Great Law of Peace" given to their ancestors in ancient times by a Prophet called "The Great Peacemaker", whose Native Name is "Daganoweda or Dekanawida" which means "two river currents flowing together". Daganoweda was born of a Virgin-Mother among the Indigenous People called "Huron", name given to Lake Huron in Canada. When Dekanawida reached adulthood, he traveled by canoe to the south where he met Aiionwatha (Hayo'went'ha) or Hiawatha who was of the Onondaga Tribe. Being Dekanawida "poor of speech", as according to tradition was not eloquent, Aiionwatha, who was eloquent, was his spokesman before the Iroquois people whom they finally managed to integrate in a peaceful Confederacy whose LAW called "Gayanashagowa or the Great Law of Peace" peacefully and harmoniously joined the Five Nations of the Iroquois Confederacy or "Haudenosaunee": Oneida, Mohawk, Cayuga, Onondaga and Seneca, Law which later served as a model for the Government of the United States. The Great Law of Peace was given by Dekanawida The Great Peacemaker to his spokesman Aiionwatha and they, with "Mother of Nations'" assistance, Jikohnsaseh, worked together to create the Confederacy. Dekanawida, Jikohnsaseh and Aiionwatha correspond to the Prophet Moses, His "Sister" Mary and His "Brother" Aaron. 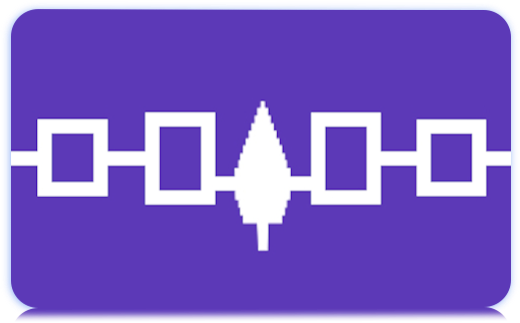 The Flag represents the Iroquois Confederacy of Five Nations: Seneca-Cayuga-Onondaga-Mohawk-Oneida, which were united in Peace by Dekanawida (Da-ga-no-we-da) or "The Peacemaker". 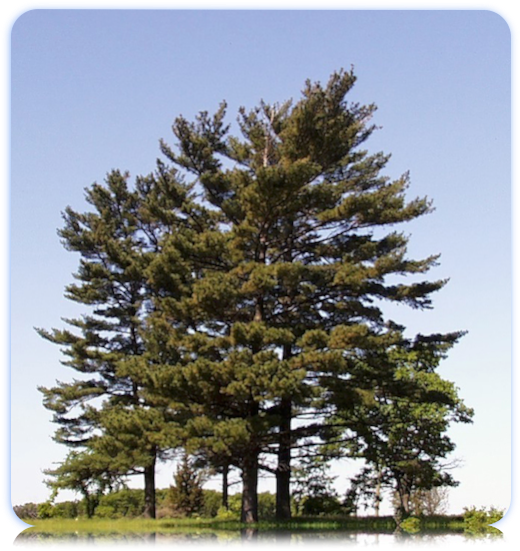 The image in the middle represents a "White Pine" ("Pinus strobus"), The Great Tree of Peace that keeps the Nations of the Iroquois Confederacy joined in harmony and peacefully. "Da-ga-no-we-da, the founder of the confederacy, and Ha-yo-went-ha, his speaker, through whom he laid his plans of government before the council which framed the League, were both 'raised up' among the fifty original sachems, and in the Mohawk nation; but after their decease these two sachemships were left vacant, and have since continued so." "Da-ga-no-we-da [...] was adopted by the Mohawks and raised up as one of their sachems. Having an impediment in his speech he chose Ha-yo-went-ha for his speaker. They were both unwilling to accept office, except upon the express condition that their sachemships should ever remain vacant after their decease. These are the two most illustrious names among the Iroquois." "... Dekanawidah alone had no successor. Hiawatha heads a long line. In 1897 a published list of Canadian chiefs showed David Thomas as his successor." "... we need only refer here to a single incident, which may well have been of actual occurrence. A lake which Hiawatha crossed, had shores abounding in small white shells. These he gathered and strung upon strings, which he disposed upon his breast, as token to all whom he should meet that he came as a messenger of peace. And this, according to one authority, was the origin of wampum. "* ("Iroquois Folk Lore Gathered from the Six Nations of New York. Selected and Arranged by the Rev. Wm. M. Beauchamp, S.T.D., L.L.D. FOR THE Onondaga Historical Association 1922 THE DEHLER PRESS SYRACUSE, N. Y."). In the Onondaga Nation, Dekanawida planted "The Great Tree of Peace", "The Tree of the Great Long Leaves" on whose top used to alight a vigilant Eagle at all times. But the Statesmen of the Mohawk Nation ("They call themselves Kaniengehaga people of the place of the flint") were those who were established by Dekanawida as "the head and leaders of the Five Nations League", since "The Mohawks Statesmen are the foundation of the Great Peace." And "No council of the League shall be legal unless all of the Statesmen of the Mohawks are present." The Mohawks lived around "The Great Lakes" and in places of the current territories of Canada and the State of New York. Dekanawida was a Prophet, a Statesman and Legislator. When Dekanawida was born, the Hurons planned to kill him and his Mother and Grandmother hid him in places where he would survived only by Divine Power. And so it was, he miraculously survived the three times he was placed in a cavity in the ice in ice water. Moses was born among the Egyptians, who also planned to assassinate him. But his Mother and Sister hid him in the reeds of the River Nile. Crocodiles were everywhere in the Nile... But miraculously he was also "Saved from the Waters" by the Egyptian Princess. Later The Israelites welcomed him as Dekanawida was by the Iroquois Mohawks. Moses was not eloquent, and it is said that he had some difficulty in expressing himself, but Aaron his "Brother" was his interpreter. Aiionwatha was a spokesman for Dekanawida who was not eloquent as he had also difficulties in expressing himself among the Iroquois. Dekanawida was not Iroquois born, he was born among the Hurons, but he was adopted by the Iroquois Mohawks whom he gave The Great Law of Peace. Moses was Egyptian, but he became the Prophet and Legislator of the Israelites whom he gave The Commandments of the Law of God. Wasi is Prophet Moses' Name among the Cherokee Indigenous. The Cherokee Indigenous of North America, whose language is of Iroquois origin, call themselves "Ani-Yunwiya" which means "The People", "The Principal People", "The Real People". Their language (derived from Iroquois) "made them unique among the tribes living in the south". 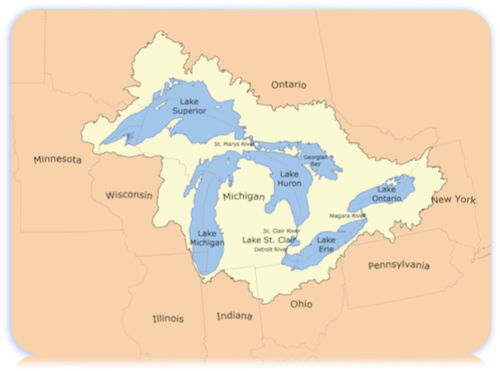 The "Ani-Yunwiya" ("Cherokee") Elders say they came (to the East coast of the present territories of the United States) from "the Great Lakes" (Lakes: Superior, Huron, Michigan, Erie and Ontario) their ancestral Home and of other Tribes of the Great Iroquois Family's too. The Cherokee Indigenous have Israelite genetic heritage. In their religious traditions there are a good number of similarities with the traditions of ancient Hebrews, like the Religious Holiday Calendar, including the New Year Celebration. "... WASI—who is simply Moses—in search of a far distant country where they may be safe from their enemies. [...] Soon after setting out they come to a great water, which WASI strikes with his staff; the water divides so that they pass through safely, and then rolls back and prevents pursuit by their enemies. They then enter a wilderness and come to a mountain, and we are treated to the Bible story of Sinai and the tables of stone. Here also they receive sacred fire from heaven, which thereafter they carry with them until the house in which it is kept is at last destroyed by a hostile invasion. [...]. In this journey the tribes marched separately and also the clans. 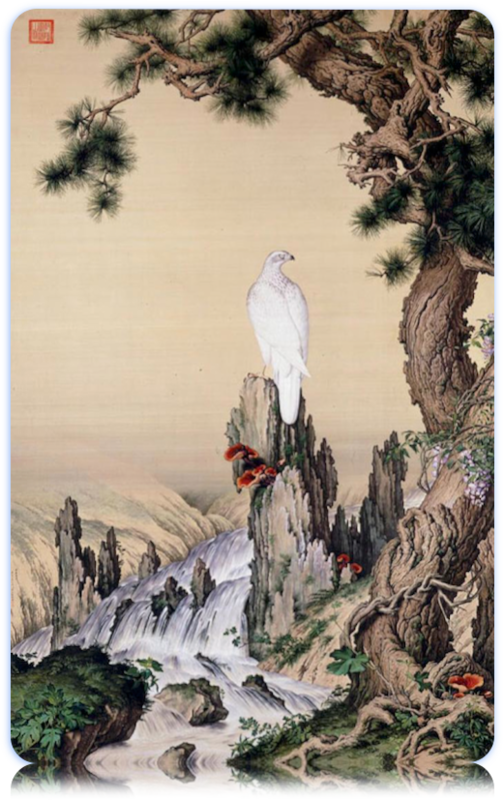 The clans were distinguished by having feathers of different colors fastened to their ears. They had two great standards, one white and one red. The white standard was under the control of the priests, and used for civil purposes; but the red standard was under the direction of the war priests, for purposes of war and alarm. These were carried when they journeyed, and the white standard erected in front of the building above mentioned [the ark or palladium], when they rested." ("MYTHS OF THE CHEROKEE BY JAMES MOONEY", "1902"). Since the Creation of the World till the "Universal Flood" there were four Races on our planet Earth: the First Race was the Black Race, called "Polar" or "Protoplasmic"; the Second Race was the White or "Hyperborean" Race; the Third Race was the Yellow or "Lemurian" Race; and the Fourth Race was the Red or "Atlantean" Race. The primeval inhabitants of the current continent called "America", were survivors of the Red Race of Atlantis. The Atlantean Race was the Red Men Race. American Indigenous are descendants of the Atlantean Red Race. These survivors had their Masters or Spiritual Guides, who appeared before them every so often to remind them the ancient sacred traditions of their ancestors. Some of the names of those Guides are, among others: Dekanawida, Quetzalcoatl, Kukulcan, Viracocha, Bochica, Tume Arandu. "From the Gobi desert, the Israelite tribes emigrated to the West in order to form the Aryan race. This is represented in the exodus by the departure of Israel from the land of Egypt towards the promised land." "Enormous caravans of human beings captained by the Masters of Major Mysteries departed from Atlantis towards the Gobi desert and afterwards they headed toward the West in order to merge with some western races and form our present Aryan race." "The captains of the biblical exodus were the Masters of Major Mysteries themselves. They were profoundly venerated by humanity and no one dared to disobey their sacred orders." "Moses lasted 40 years in the wilderness, that is, the primeval Israelites remained 40 years in the wilderness and they built the Ark of the Covenant and established the Mysteries of Levi and worshipped YHVH." "The seven sanctuaries of Mysteries emigrated towards the west and in light of these sanctuaries the Magi’s Persia, the Rishi’s India, Chaldea, Egypt, Hellenic Greece, etc., flourished." (Our Venerable Master Samael Aun Weor's Teachings). The primeval People of Israel is of Atlantean origin. The Indigenous who populated the continent now called "America" were Red Men of Atlantis. Men and women of every Nation and Tribe and Tongue and People who, by practicing THE THREE FACTORS OF THE REVOLUTION OF THE CONSCIOUSNESS throughout life, achieve to CREATE within themselves the Inner Man and Incarnate the SON OF MAN, who is the particular heavenly inner Israel, are and will be the "Israelites" of these end times. This "Chosen People" will integrate "The Israelite Tribes" that will serve as Seedbed to populate the New Lands that will emerge from the depth of the oceans. The Avatar of Aquarius of these end times is the Fifth Angel of Apocalypse: Our Venerable Master Samael Aun Weor who is and will be helped by his two Assistants or Collaborators: the Prophet Elijah reincarnated in Our Venerable Master Rabolú and the Prophet Moses reincarnated in Venerable Master Thoth-Moisés. Our Holy Guru is the Great Master Morya or Melchizedek. Each of the Three Masters, as well as Melchizedek, are a "Noah". These Three Masters will hand over The Flock to Our Lord Jesus The Christ who is Our Supreme Great Master. For "That is why" we "were born". "21 AND YHVH God [Elohim] caused a deep sleep to fall upon Adam, and he slept: and he took one of his ribs, and closed up its place with flesh; 22 And from the rib, which YHVH ELOHIM had taken from Man, made he a Woman, and brought her unto the Man. 23 And Adam said, This is now bone of my bones, and flesh of my flesh: she shall be called Woman, because she was taken out of man. 24 Therefore, shall the Man leave his father and his mother, and shall cleave unto his Wife, and they shall be one flesh." (Genesis 2:21-24). "Their eyes were merely blurred by Heart of Sky. They were blinded like breath upon the face of a mirror. Thus their eyes were blinded. They could see only nearby; things were clear to them only where they were." "Thus their knowledge was lost. The wisdom of the first four People was lost there at their foundation, at their beginning (of quiché race)." "Thus were the framing and the shaping of our first grandfathers and fathers by Heart of Sky and Heart of Earth." "Then their companions, their wives, also came to be. It was the Gods alone who conceived them as well. As if it were in their sleep they received them. The women were truly beautiful who were with Balam Quitze, Balam Acab, Mahucutah, and Iqui Balam." "Thus when the men were brought to life, their wives truly came to be as well. At once their hearts rejoiced because of their mates." "These, then, are the names of their wives: Cahapaluna was the name of the wife of Balam Quitze. Chomiha was the name of the wife of Balam Acab. Tzununiha was the name of the wife of Mahucutah. Caquixaha was the name of the wife of Iqui Balam. These, therefore, were the names of their wives, they who came to be our Rulers." The Four Grandfathers of the Popol Vuh history, each one with their own Wife, have their parallel in the survivors of the "Universal Flood": Noah with his Wife and his three "Sons", each one with their own Wife. No one can deny the astonishing similarity between the history of Moses' Genesis and Popol Vuh which tell the Creation of the Collective Adam (our Former Fathers and Mothers, Grandfathers and Grandmothers) by THE GODS. "Quiché People", the Maya, are descendants of the "four progenitors" who correspond to Adam-Eve, Noah and his Wife and his Sons and their Wives, from among them the new Israelites rose up later who settled in Egypt wherein later the Prophet Moses was reincarnated. Through American Indigenous' veins flow the genetic heritage of the former People of Israel. I have finished writing this study with the Help of God on Shabbath Day, August 22, 2015. "May all Beings be Happy!" "May all Beings be Blessed!"